A Dean is usually the head of a significant collection of departments within a university with responsibilities for setting academic policies, overseeing the budget, fundraising, and other administration. Such a dean is usually a tenured professor from one of the departments. Prof. Konduru Nagabhushan Raju is a Professor in the Department of Instrumentation & USIC, Sri Krishnadevaraya University, Anantapur. He holds a B.Tech., in Mechanical Engineering, M.Tech in Energy Conservation & Management and Ph.D. in Instrumentation. His professional career started with Tata Energy Research Institute (TERI) wherein he was involved in the energy efficiency technology absorption studies in over 30 medium and large scale industries during his stint for 3 years. He has the distinction of getting selected as youngest Scientist ‘C’, at the age of 26 by the CSIR Central Mechanical Engineering Research Institute (CMERI), Durgapur, and was the awardee of Jawaharlal Nehru Centenary British Fellowship for pursuing Ph.D. in Energy Conservation at UMIST, Manchester, UK. Being passionate towards academics, he pursued his career in Sri Krishnadevaraya University, Anantapur since 1993. He has completed four Major Research Projects sponsored by ISRO and UGC. He has more than 81 publications to his credit of which 31 are national, 50 are international journals apart from authoring a book on Industrial Energy Conservation Techniques and a book chapter. He has organized/attended/presented papers/delivered key note addresses in a total of more than 49 conferences/seminars/symposia/workshops. 12 candidates are awarded Ph.D. and 2 candidates M.Phil., under his research guidance. He has the distinction of receiving both A.P. State Scientist Award on February 28, 2009 and A.P. State Teacher Award on September 5, 2015 by the Govt. of A.P. He has held several responsibilities such as Head, Dept. of Instrumentation; Coordinator & Head, Dept. of Electronics; Placement and Career Guidance Officer at SKU College of Engg. ; Regional Coordinator for Jawahar Knowledge Centres; Principal, SKU College of Engineering & Technology; and currently the Dean, Faculty of Engineering & Technology; and the Director, Centre for Skill Development, Entrepreneurship & Incubation, S.K.University. He is in the Boards of Studies and Boards of Examiners of different Universities and has served in a number of committees at State and University level. He is a fellow of IETE and NESA and member of Instrument Society of India and ISTE. Prof.K.Chowdojirao obtained his M.Sc Degree in 1976 and Ph.D degree in Chemistry in 1985 respectively from S.V.University, Tirupati. He joined as Asst.Professor in S.K.University in 1987 and was promoted to Associate Professor in 1994 and as Professor in 2004. His research areas of interest include thermodynamics of binary liquid mixtures, Polymer blends, polymer membranes for pervaporation studies, polymers for drug delivery applications. He has 5 years undergraduate and 29 years Post graduate teaching experience and 39 years of research experience. He has published 150 research papers in national & international journals and presented around 105 papers in national and International conferences. He has completed 8 Major research projects and procured nearly Rs.80.00 lakhs from different research funding agencies like UGC, DST, DRDO etc. He has 2 patents to his credit. Under his guidance 23 candidates were awarded Ph.D degrees and 5 candidates got M.Phil degrees. Presently 4 Ph.D students are working. He is reviewer of several peer reviewed journals. He was conferd with meritorious best teacher award in 2007 by the Govt. of Andhra Pradesh. He was awarded visiting scientist award and visited Leister and Loughborough Univeristies in UK(1993-94). He was also awrded visiting Professor award under UGC-Indo Russian cultural exchange programme in 2003. He was also receipent of visiting scientist awards of DST, UGC & INSA and worked in IIT, New Delhi (1993-95). He has also made academic visits to New Jersy Institute of Technology and Princeton University at New Jersy, USA(2011), Changwon National University, South Korea(2013) and Michegan University, USA. He has successfully conducted one refresher course and 5 National Seminars as convener for 2012 to 2016 in the department of Polymer Science & Technology. He has been actively involved in revision of syllabus for PG programme of S.K.University and other University as Chairman & member of BOS. 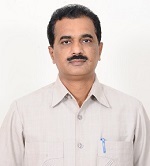 Dr. K. Venugopala Rao has joined S.K. Institute of Management in 1989 as lecturer, he has doen faculty Development Progrmme in Indian Institute of Management, Ahamadabad during 1992-93. He became a Professor in 2006. 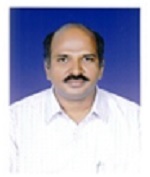 His research interests are Rural Marketing, Retails Management, Public Sector Banks, etc. He has 22 years of MBA teaching experience. He traveled extensively in US and Canada. He carried out two UGC Major Research Projects. He attended several National and International Conferences. He authored many articles and books. He has written lessons to Distance Education Programme of different Universities. 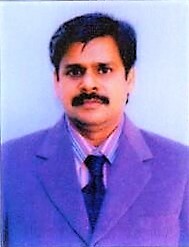 Dr. R. Jeevan Kumar is presently working as Professor in the department of Physics, S. K. University, Anantapur and as Dean UG examinations since Sept.2016.After assuming charge we introduced online examination applications and jumbling system in all UG examinations with the support of university administration. Also conducted a workshop on Examination reforms in UG Examinations on 26th March 2016.He obtained his MSc and PhD degrees in Physics (area of research is Molecular Biophysics) from S. K .University in the year 1984 and 1988 respectively. He has been in the teaching field for the past Twenty Seven years. He has developed a new method for determining the electron charge by using a Spectrometer (published in Physics Education Sept. 1992). He is a life member of Indian Association of Physics Teachers (IAPT) and Indian Biophysical Society (IBS). He is one of the authors of intermediate final year Physics Textbook published by Andhra Pradesh Government. He has more than 75 research publications to his credit, published in national and international journals. He has presented more than fifty papers in various seminars. He organized Three national seminars.He has guided so far four MPhil and ten PhD students and at present five students are working for PhD. 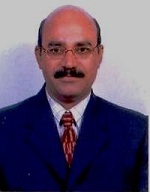 At present he is also coordinator for SAP DRS-II programme of Physics department. 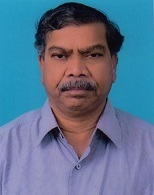 Dr.C.N.Krishna Naik has been working as a faculty member in SK Institute of Management since 1989.Dr.Naik has been elevated as Associate Professor in 1993 and Professor in 2001.He has served as Director,SK Institute of Academic Development (SKID),Joint Director, In-charge Director ,Directorate of admissions (DOA),Cultural Co-Ordirator, Deputy Warden, Head & Chairman BOS department of Management. Dr.Naik has guided 25 Ph.D scholars in management ,published 54 research articles in National and International Journals and authored and co-authored 14 books .He has completed UGC minor research project. He has put in 26 years of PG (MBA) teaching experience. He has been member on the boards of studies for various MBA and BBM courses several universities. Dr.Naik has been severing as member on the first court of Tripura central university, Tripura and Academic council member Sri Indiragandhi national tribal university, Amarkantak, M.P. Dr.Naik has been visited Thailand, Malaysia, England, Nepal, Tibet and China on academic and non academic assignments. Dr.Naik is recipient of State Best Teacher Award for the year 2012 from Government of Andhra Pradesh. Besides he has received other 4 national awards. Presently Dr.Naik has been severing as Dean, Faculty of Commerce & Management and Founder Principal of Sri Krishnadevaraya University College of Arts. Guidance provides holistic development in human beings leading to humane ambience in the social environment. A professional support is essential to fill the same Prof. Premchand babu chosen for deanship of “Career Guidance and Placement.” He did his M.Sc (Psychology) with Guidance and counseling as major and special training FDP at IIM, Ahmedabad. In his 26 years of service he served the student community by shouldering various academic, social, administrative and institutional building roles to balance the personality development of emerging change agents at university level. His role in campus development paved the road for high-tech facilities on SKU campus. Prof Premchand has used special skills acquired from various exposures as Registrar, YVU, trainer and consultant for various corporate bodies at COD, Hyd. Research focus on institutional building, health care, NGOs, IT and Education helped him to learn new emerging vitas of knowledge to guide better.